New international approaches to strengthening nuclear security and combating the threat of nuclear terrorism have been introduced throughout the first decade of the 21st century. The adoption of new and revised mandatory international legal instruments, as well as other non-binding initiatives and voluntary mechanisms, have led to improved security measures in this critical area, but there is still a need for substantive and procedural arrangements to be significantly strengthened.This book is a collection of the presentations and deliberations of participants at the NATO Advanced Research Workshop held in Vienna, Austria in January 2010. The workshop was attended by over 100 international experts from more than 20 countries, and the papers presented here summarize current understanding of, and approaches to, the legal framework for nuclear security and counterterrorism. 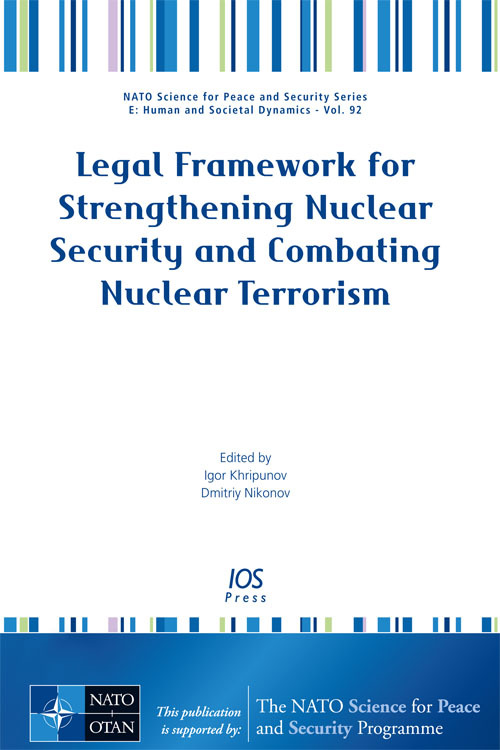 The book will be of interest to all governments, international organizations, researchers and practitioners worldwide who are involved in securing nuclear materials and preventing nuclear terrorism.